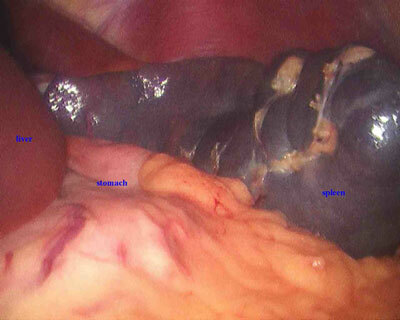 Laparoscopic removal of the spleen has become the preferred operation for elective spleen removal. The surgery involves general anesthesia and 3 to 4 small incisions on the abdomen. The smaller vessels of the spleen are sealed with a special device. The major vessels are divided with an endoscopic surgical stapling device. The attachments of the spleen to the diaphragm are then divided. 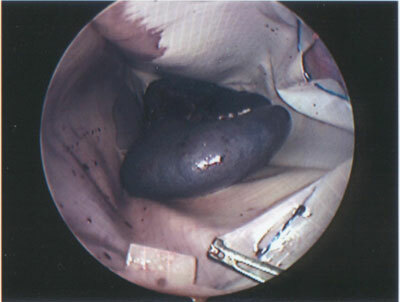 The spleen is then placed in a bag within the abdomen where it is broken into small pieces. 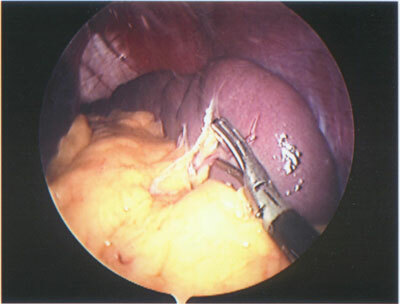 The pieces of spleen are then removed through one of the laparoscopic incisions. Very graphic content related to the type of surgery, organs, procedures or trauma depicted in this tab.